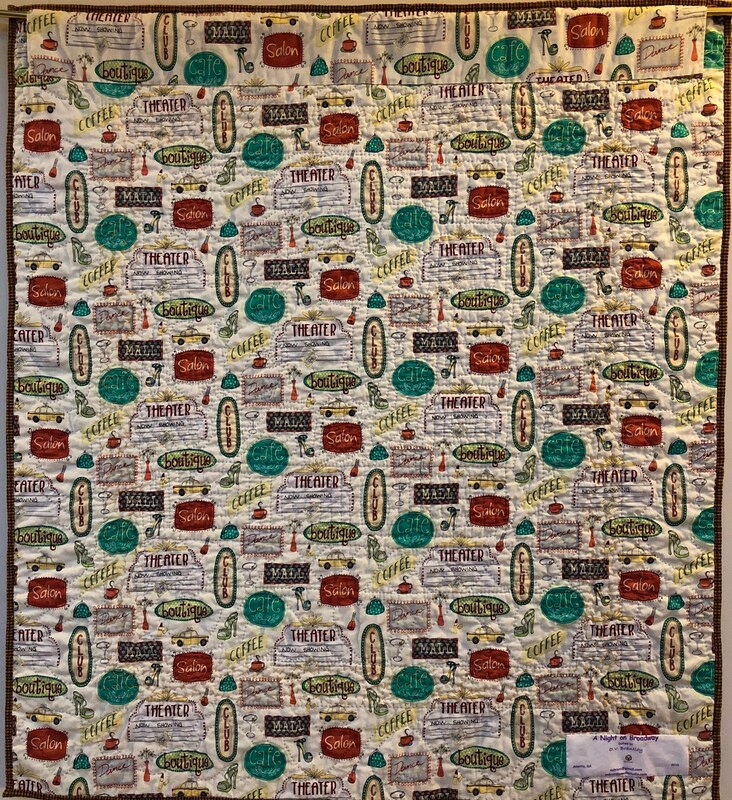 “A Night of on Broadway” is a 37x40 inch art quilt that was inspired by a recent trip to New York. My daughter India and I were on our way to Dubai and very much looking forward to our adventure in the desert. We decided to spend one day in New York before we boarded our flight to Dubai. 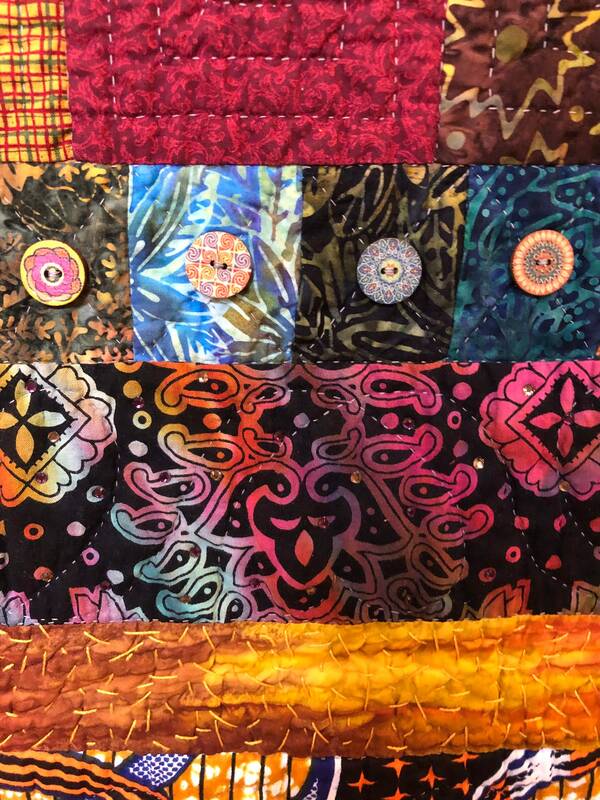 Although New York has many wonderful things to offer tourists, we chose to see the “Lion King” because we love musical theater and that production in particular. We had great seats and could reach out and touch the actors as they came down the aisle. It was an unforgettable experience. 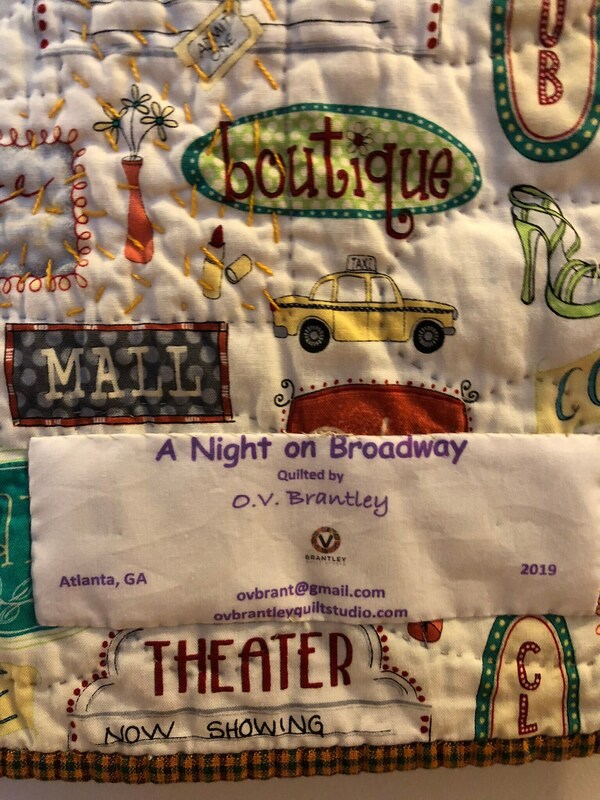 The mask panel that is part of “A Night on Broadway” reminded me of the universal symbol for the theater — comedy and tragedy. 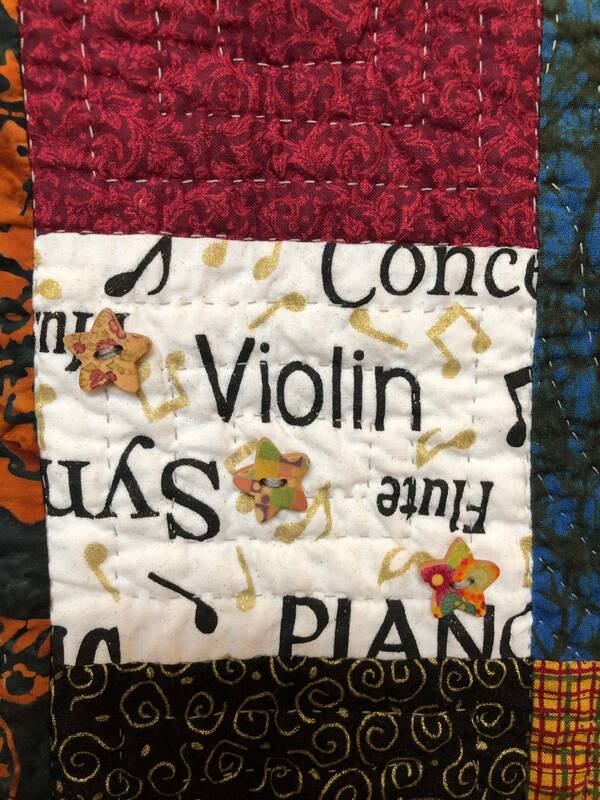 So that was the inspiration for the name of the quilt. 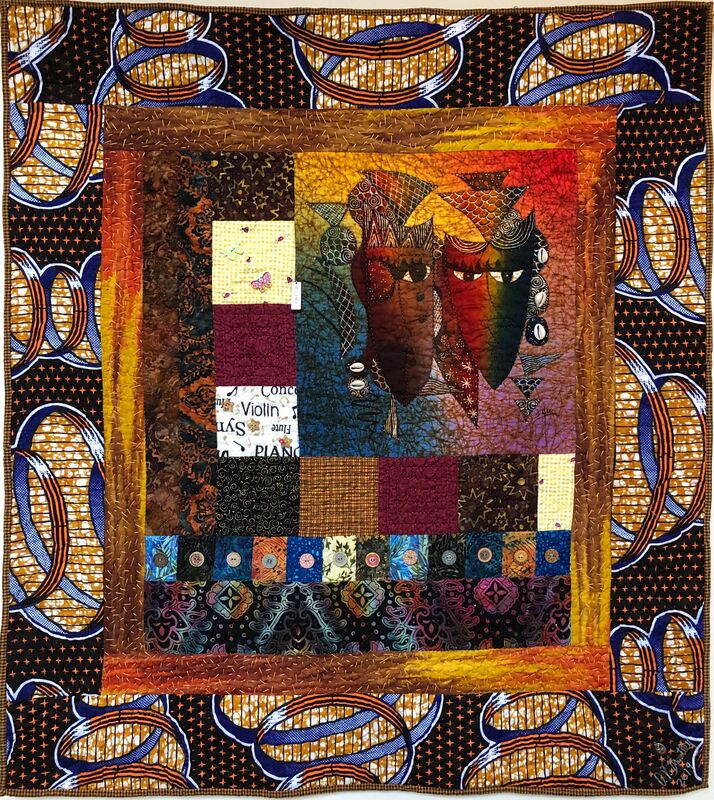 From there the quilt took on a life of its own with an eclectic composition of traditional fabrics, batiks and African fabrics. 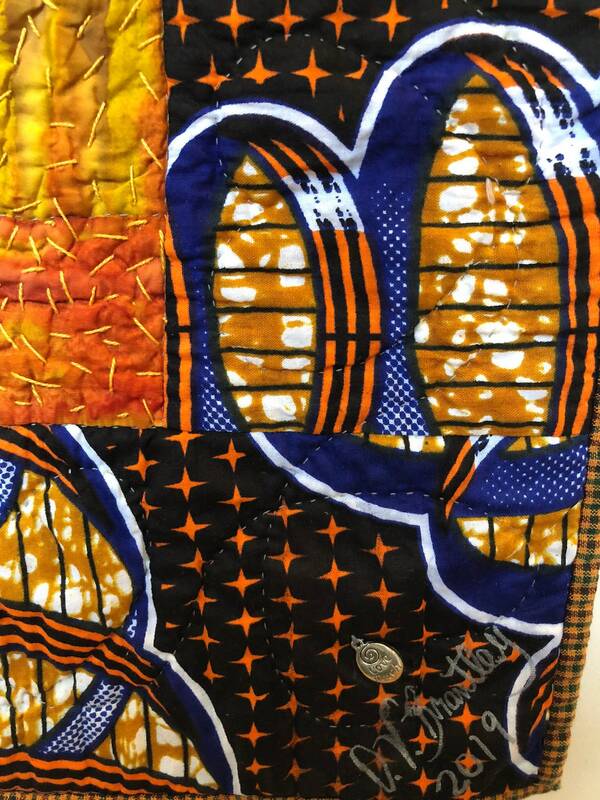 The quilt is entirely quilted by hand. 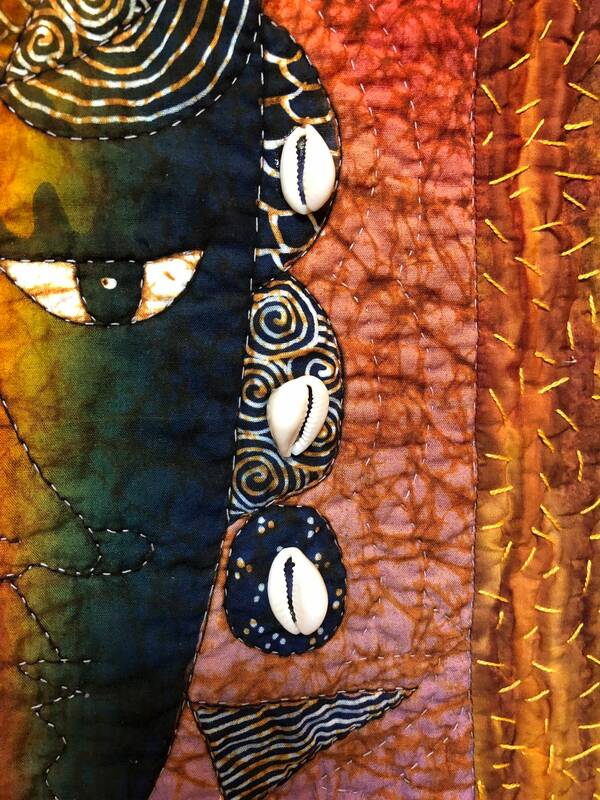 It includes big stitch quilting in one of the borders to add texture and interest to the quilt. 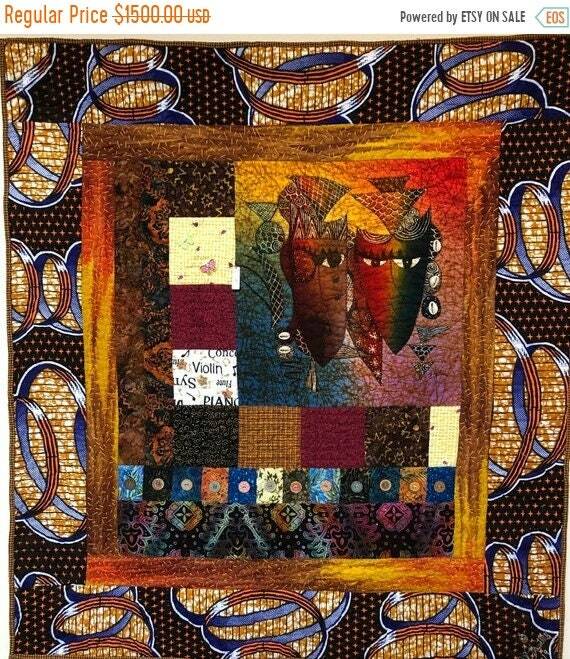 The hand quilting is embellished with charms, painted buttons, cowrie shells and crystals. 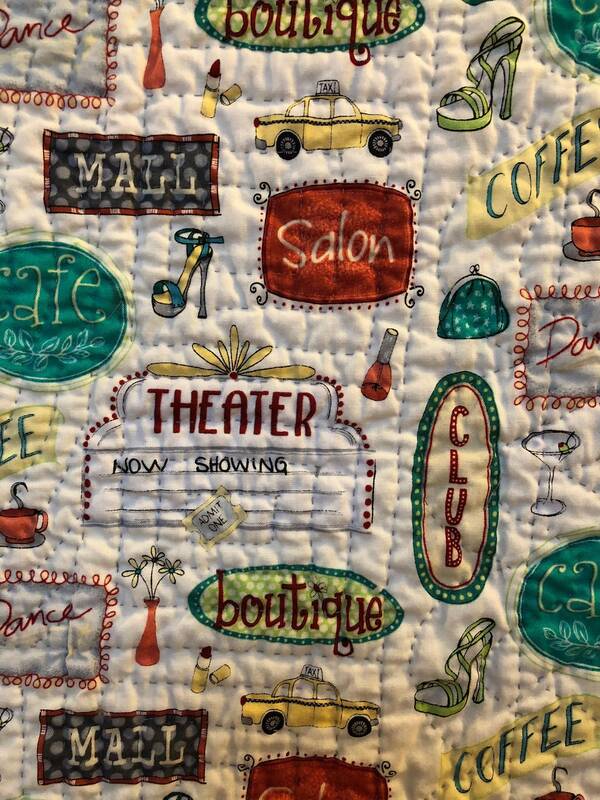 The back of the quilt carries out the New York theme of the quilt. 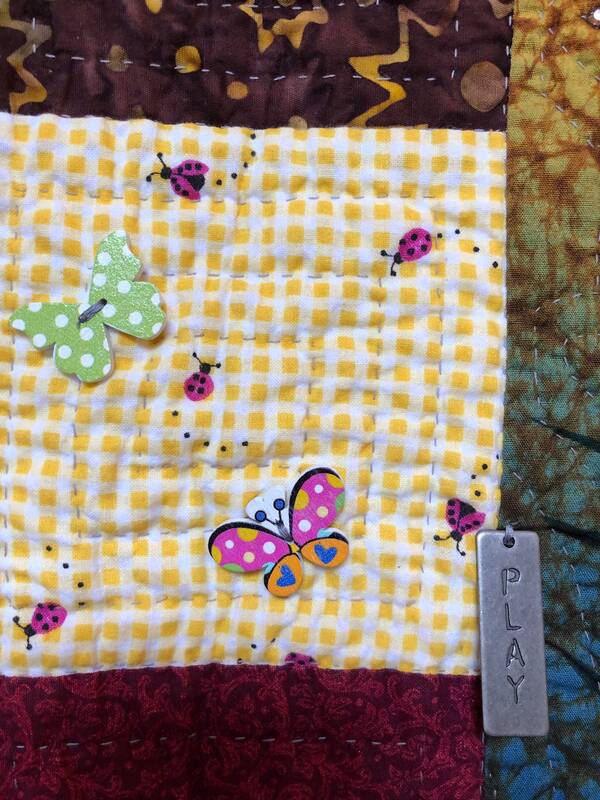 I added a hanging sleeve for easy display and a label that documents the quilt.